With the success of South Indian villain Prakash Raj dominating Bollywood with hit films like SINGHAM and DABANGG 2 another South actor viz. Telugu star Sudheer Babu seems set to invade Bollywood with his villainy! 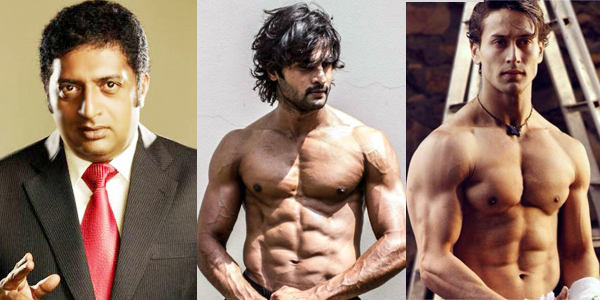 Tall, dark and handsome with a macho body Sudheer Babu will be seen playing the antagonist in the upcoming film BAAGHI opposite Bollywood new heartthrob Tiger Shroff. On being quizzed about his experience working with Tiger Shroff, Sudheer Babu admitted that he had complex looking at the muscular body of Tiger. 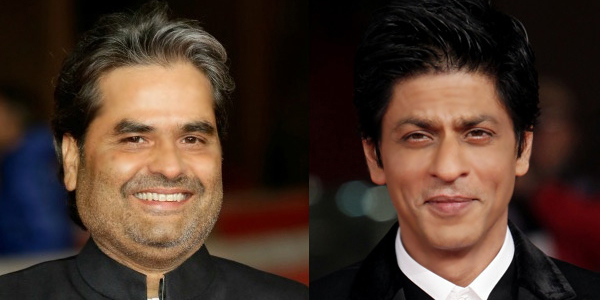 Shah Rukh Khan to appear in Vishal Bharadwaj’s art house movie? Shah Rukh Khan’s DILWALE has finally managed to collect a timid Rs 150 crore ! Timid because as compared to his other counterparts viz Aamir Khan and Salman Khan, DILWALE has been a sure let down both in terms of finance at the box office and the content. Both Aamir Khan’s PK (Rs 735 crore) and Salman Khan’s BAJRANGI BHAIJAAN ( Rs 626 crore) are thus way head of SRK’s DILWALE both commercially and content wise. Thus it seems with the amount of brickbats that Shah Rukh Khan has received from both critics and his fans for DILWALE, SRK has decided to finally to deviate from the commercial masala stuff and focus on content oriented serious cinema. Hence he has joined hands with brilliant art-house filmmaker Vishal Bharadwaj, who has to his credits brilliant crafty films like MAQBOOL, OMKARA, HAIDER etc. “Interestingly I have narrated the script to SRK and he has expressed his interest to work with me. But the problem is that SRK is so busy that it is hard time chasing him,” laments Bharadwaj. However Bharadwaj insists that the film is very much on cards as each time when the duo has met SRK has given positive vibes for the film. “I am confident the movie will be made but when, it’s difficult to predict. Nevertheless, I keep my figures crossed and hope soon after I complete my film RANGOON, I hope to start with the Shah Rukh Khan film,” he concludes.